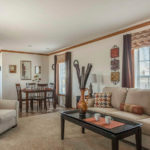 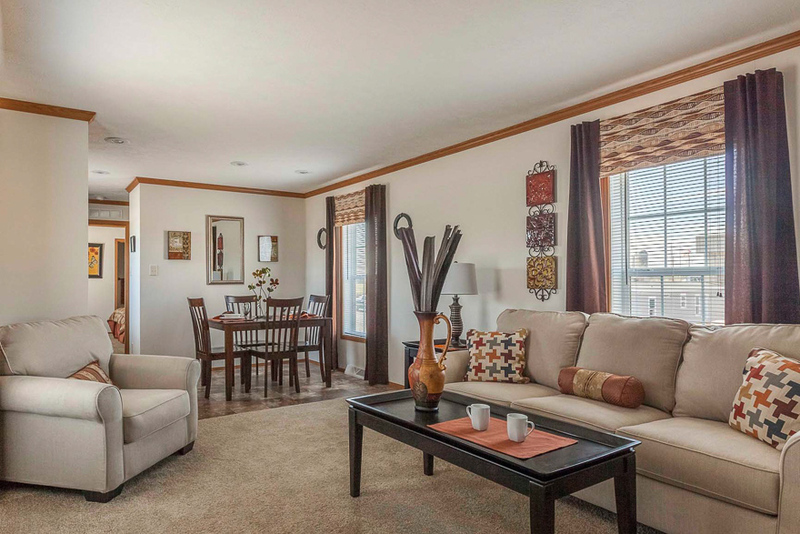 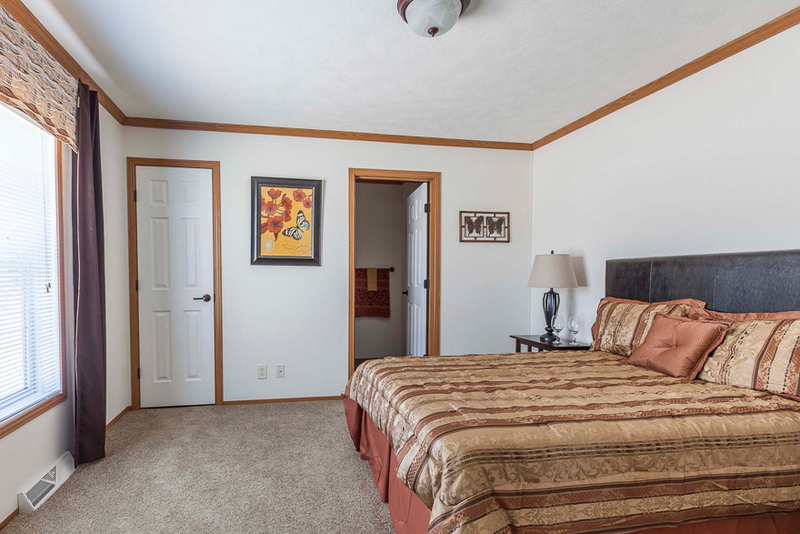 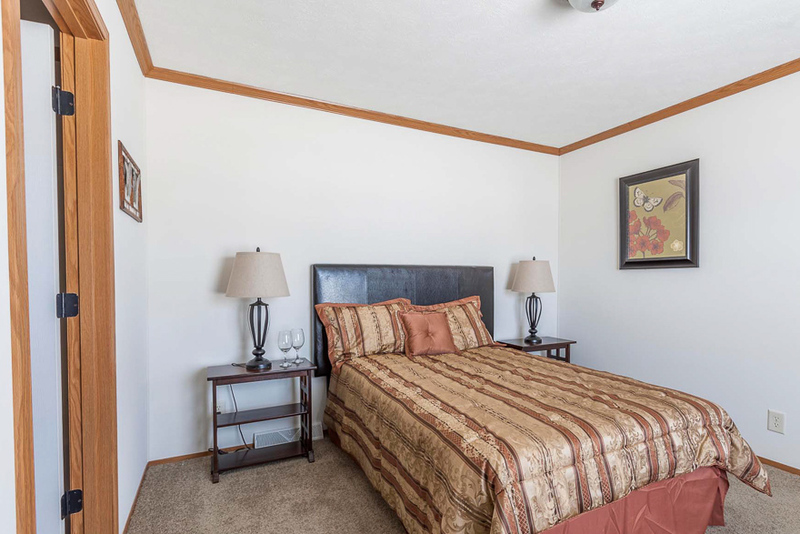 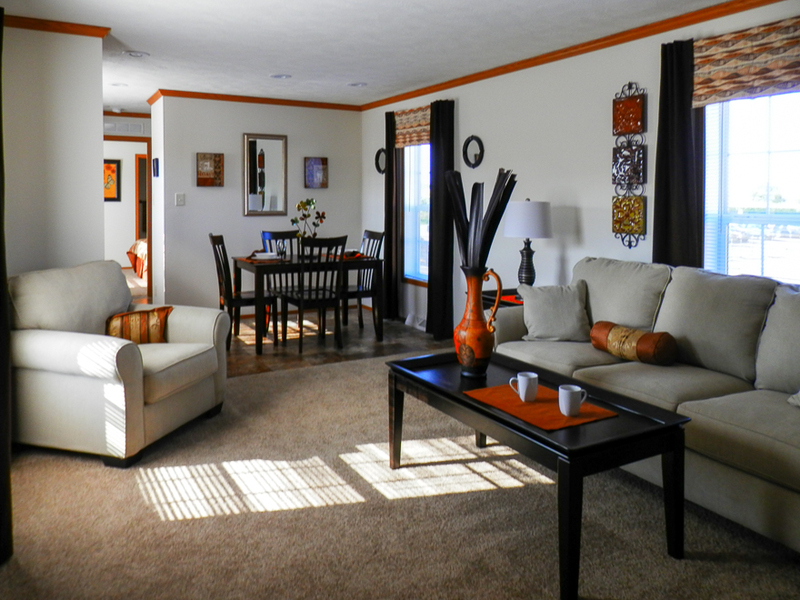 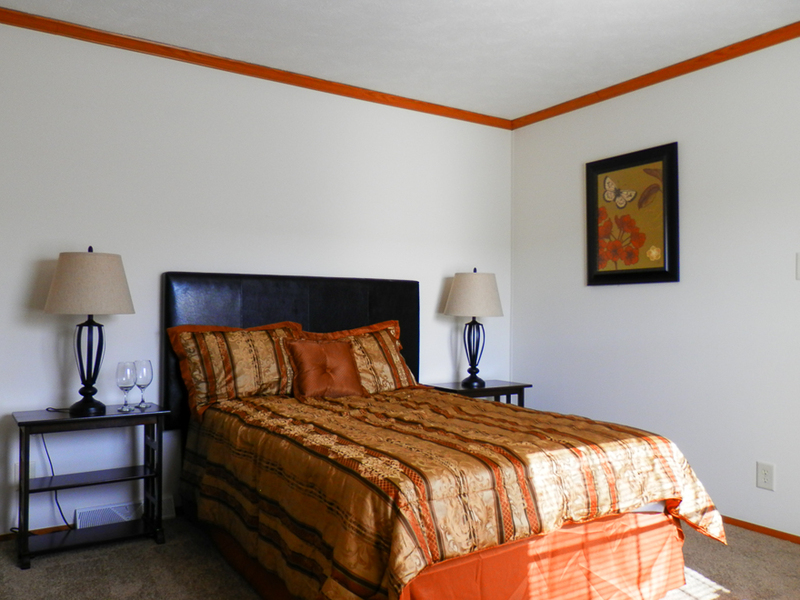 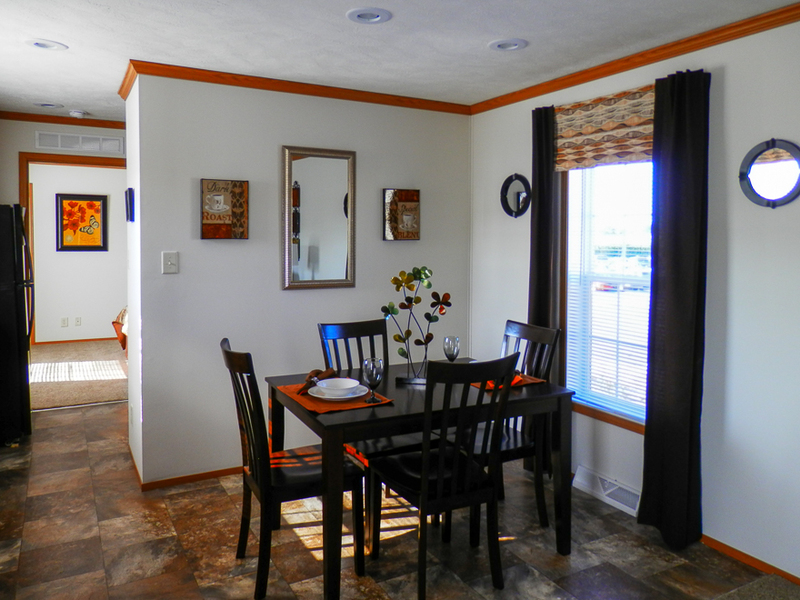 The Glassboro model has 2 Beds and 2 Baths. 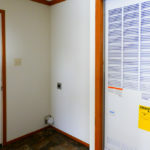 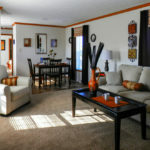 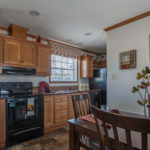 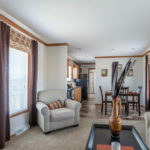 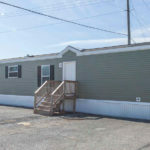 This 820 square foot Single Wide home is available for delivery in Pennsylvania, New York, New Jersey, Massachusetts, New Hampshire, Maryland, Connecticut, Delaware, Vermont, Rhode Island. 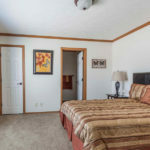 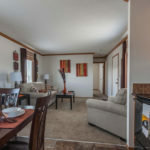 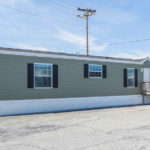 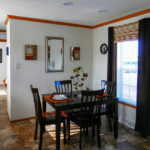 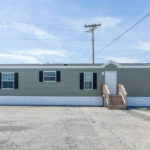 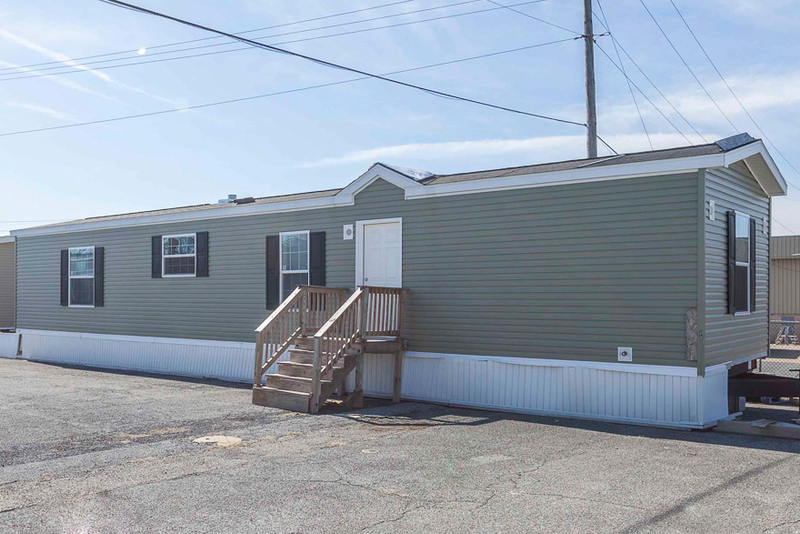 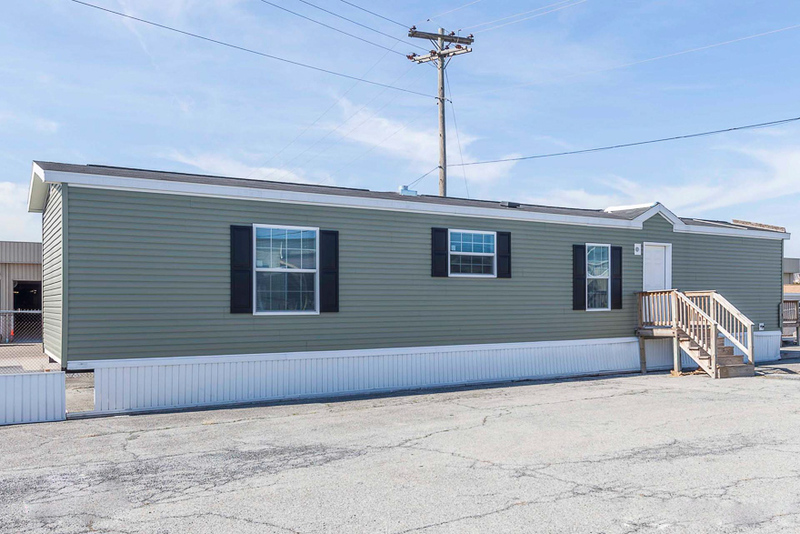 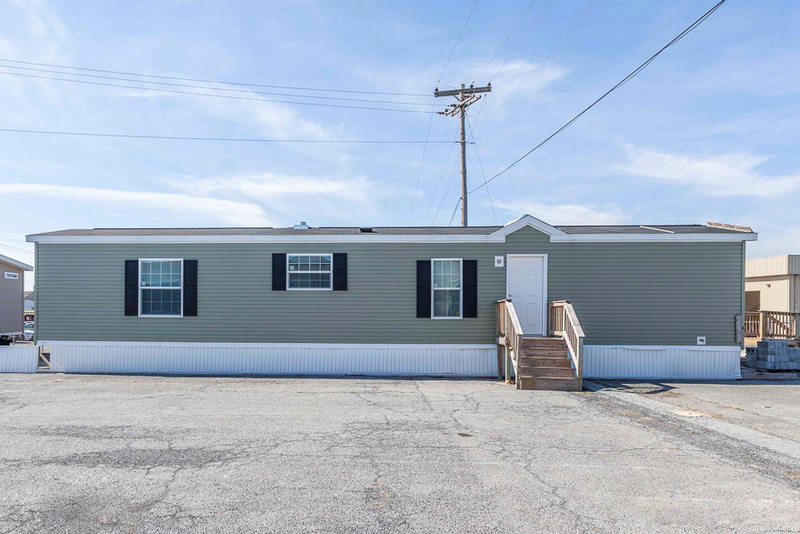 This uncomplicated ‘split floor’ manufactured home is jam-packed with high quality construction features, foremost among them are sturdy 2×6 sidewalls. 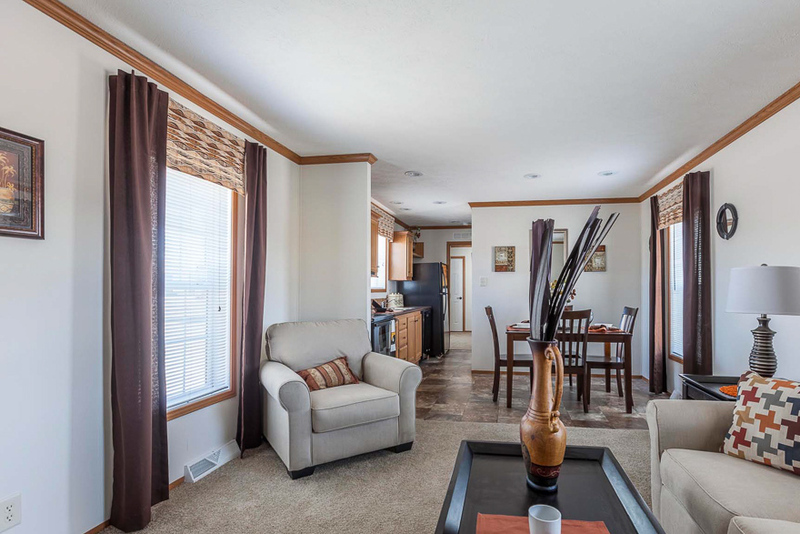 The polished interior comes standard with features such as finished drywalls, decorative valances and residential 8 foot flat ceilings. 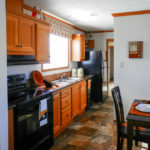 Kitchen is shown with Balck appliances. 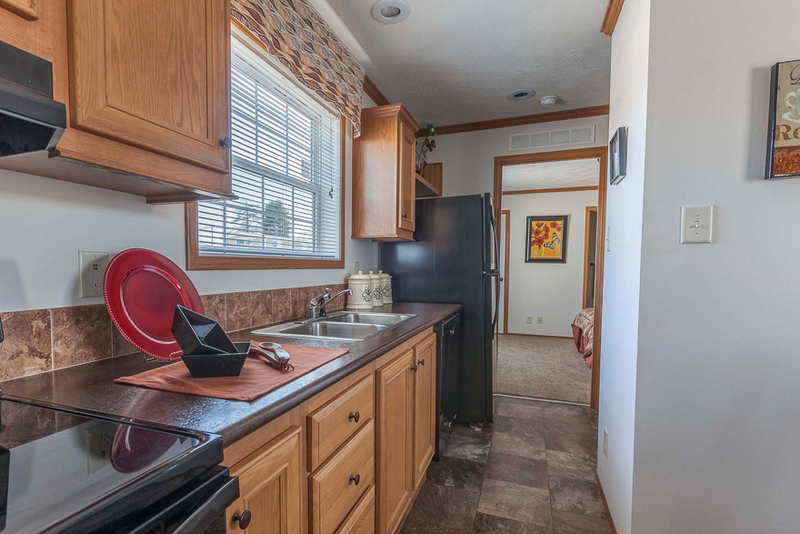 The Smoothtop Electric Range and the Dishwasher are optional items. 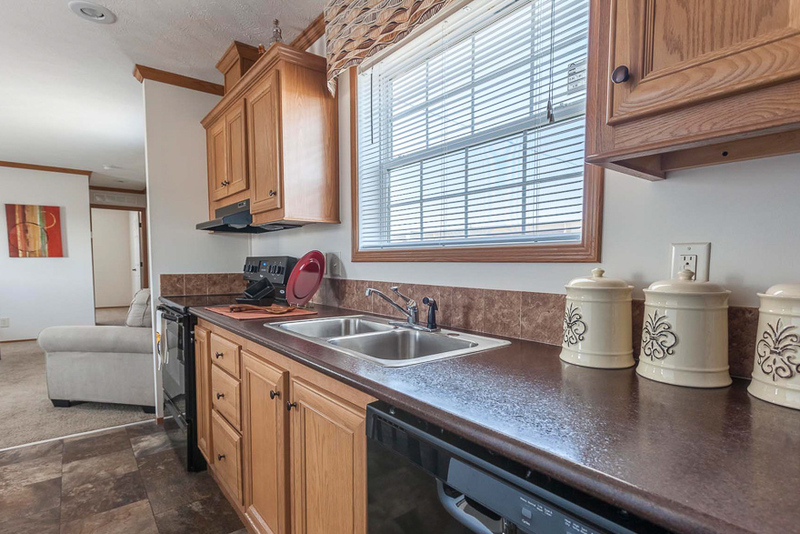 Shown with standard Walnut Quarstone countertops and the optional crescent edge. 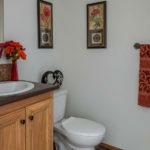 Edgewood ceramic backsplash is also optional. 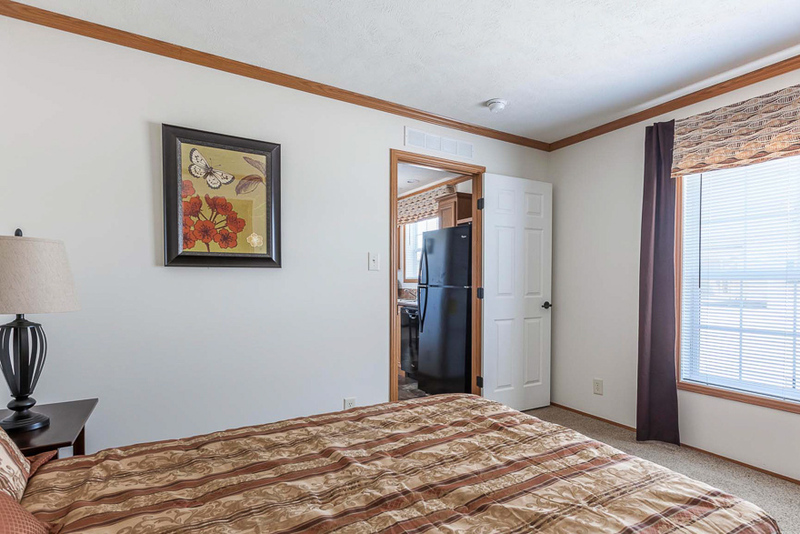 Drapery are standard Mountain Range Chocolate. 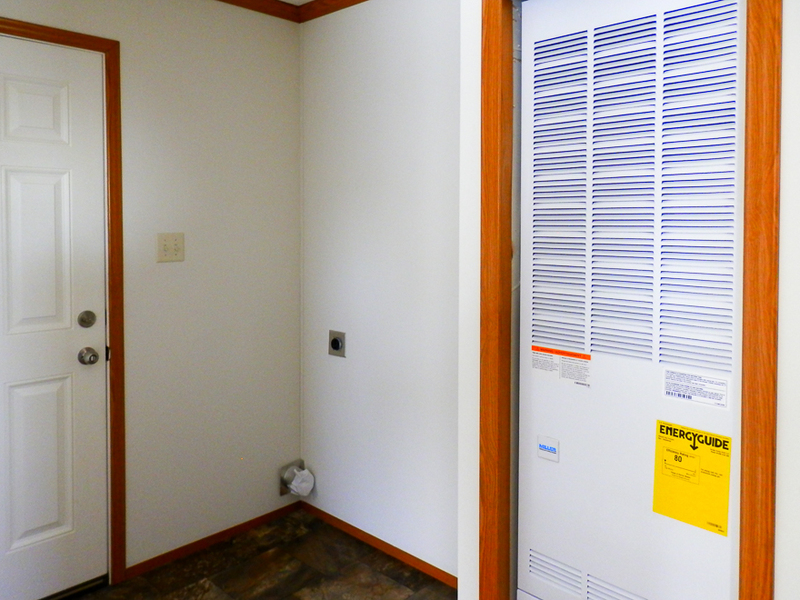 3″ cove molding thoughout the home is optonal. 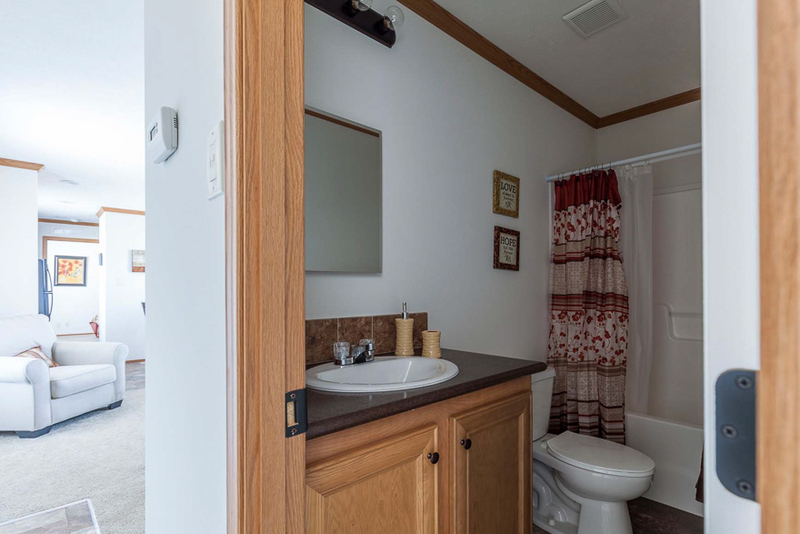 Grand canyon – Safari vinyl flooring is standard. 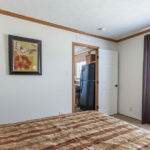 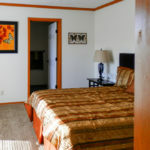 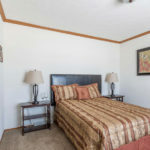 Antique White Drywall throughout and Mantra – Woodsmoke carpeting are both standard in this home. 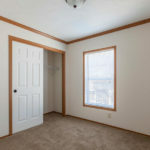 Carpet is standard Mantra – Woodsmoke. 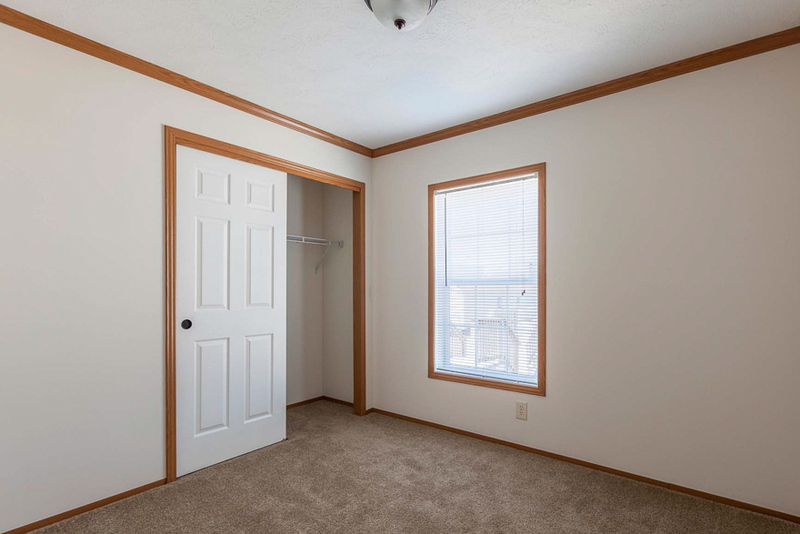 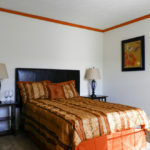 Optional 3″ cove molding continues into the bedrooms. 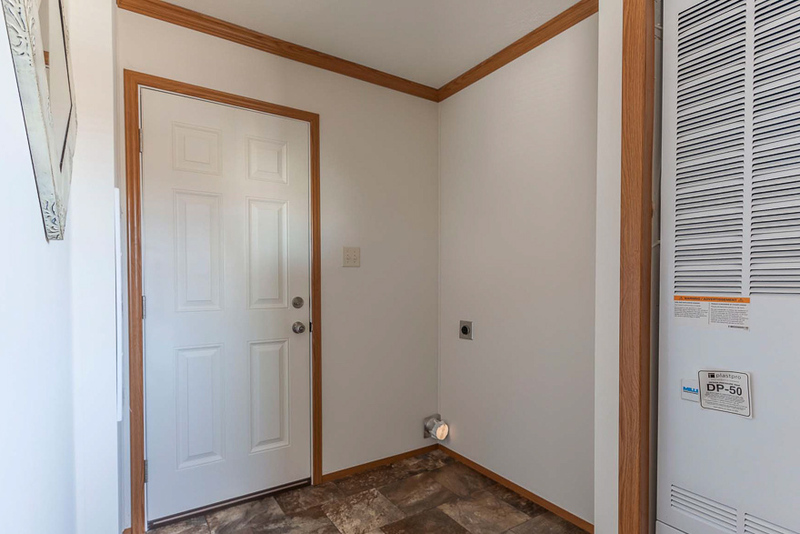 Ceiling light is an option. 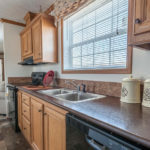 Countertop is standard Walnut Quarstone with optional Crescent Edge. 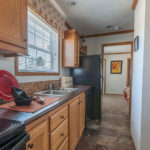 Edgewood ceramic backsplash is optional. 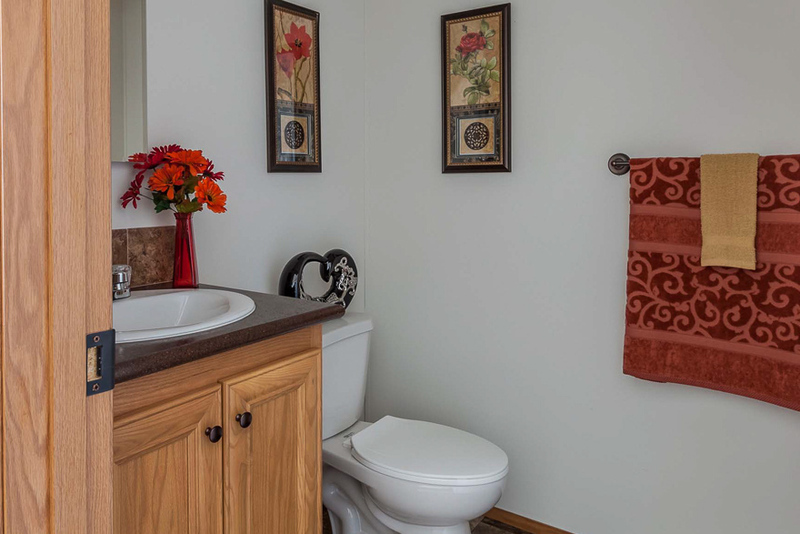 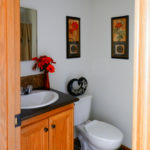 Shown with Standard Elongated Toilet and China Sink. 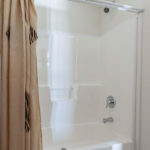 Standard wire and Plumbing for washer and dryer. 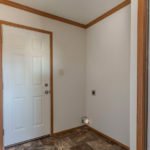 Also shown is the optional Metal Furnace Door. 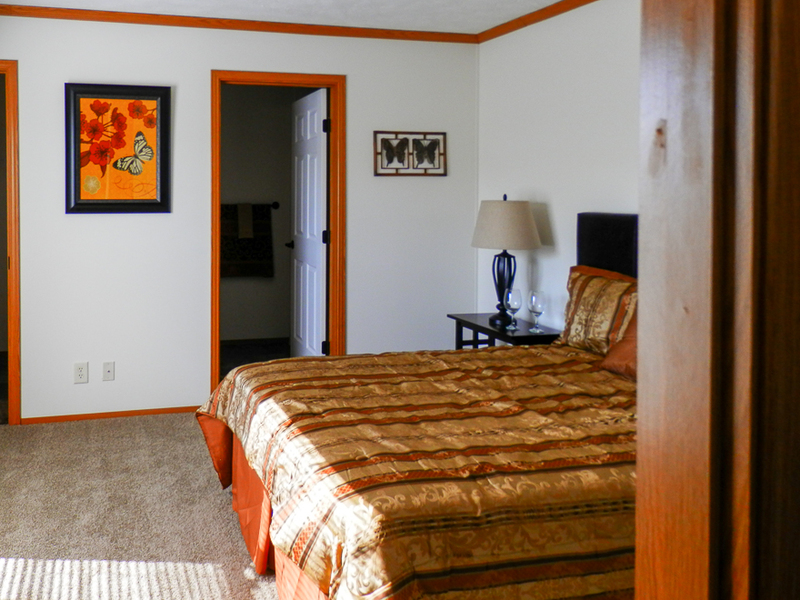 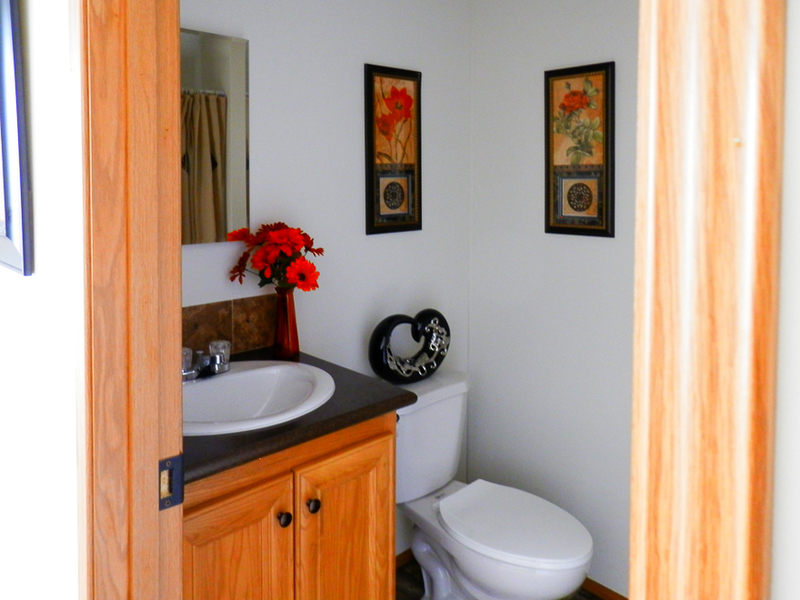 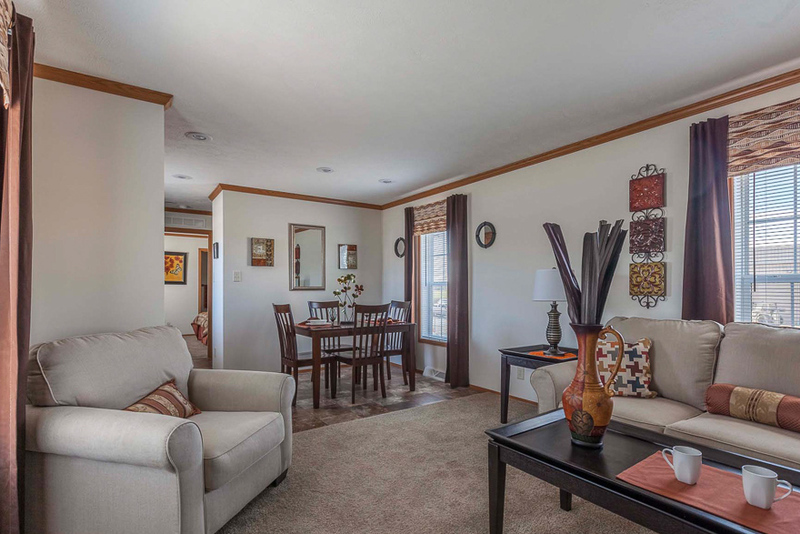 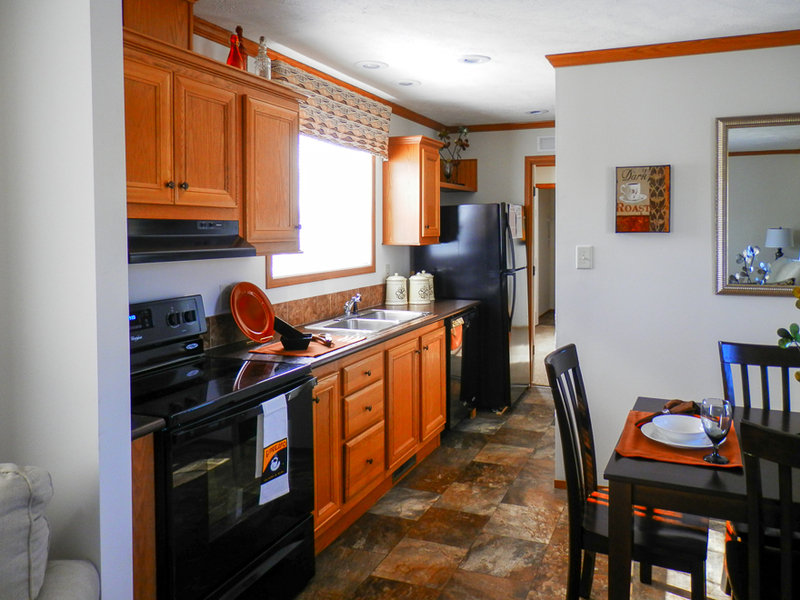 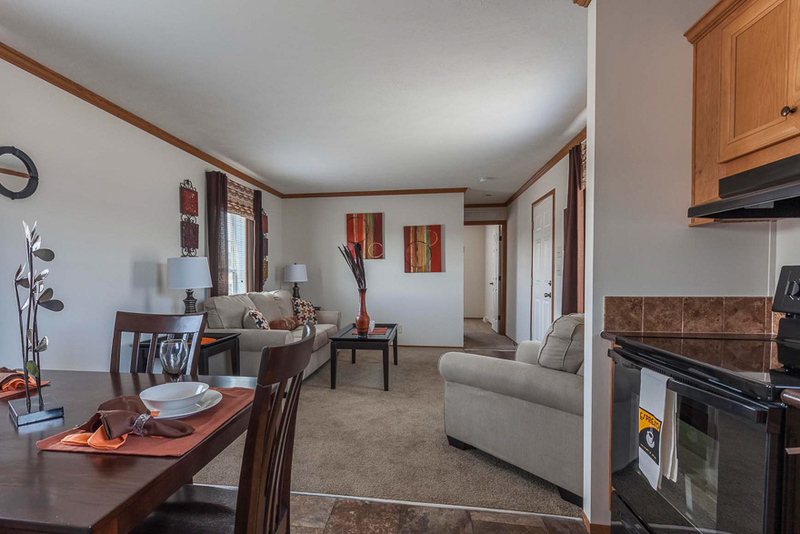 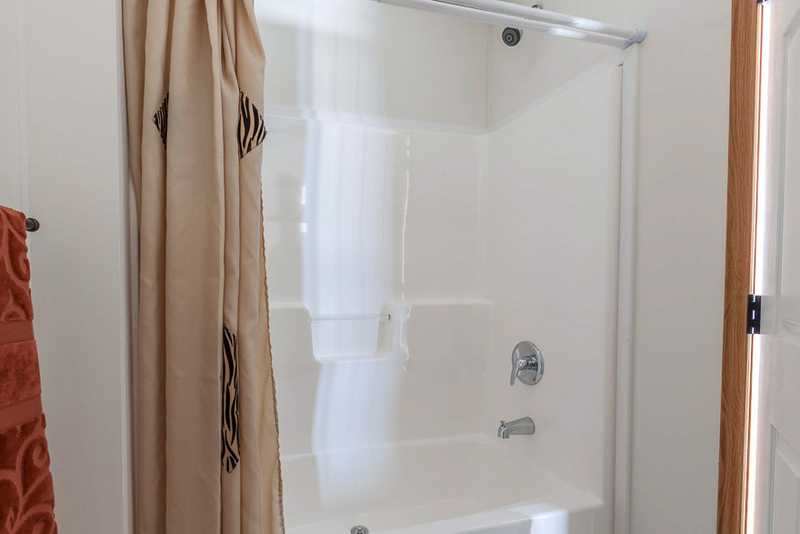 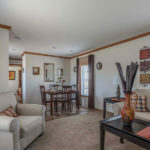 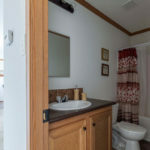 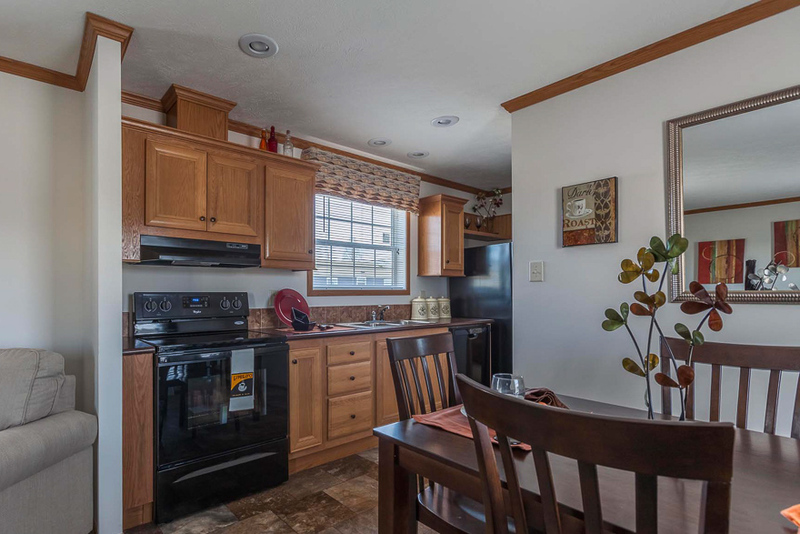 Ask your housing consultant about the other great features that come standard on the Glassboro manufactured home.